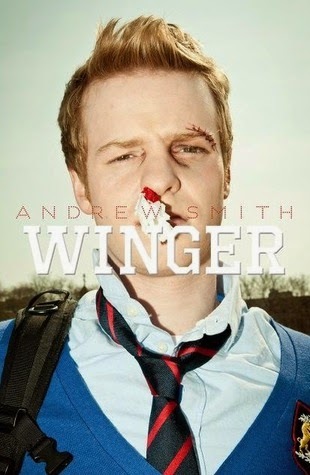 Andrew Smith is the New York Times bestselling author of Winger, The Marbury Lens, Passenger, Ghost Medicine, Stick, and In the Path of Falling Objects. He lives in Southern California. Jesse Andrews is a writer, musician, and screenwriter. 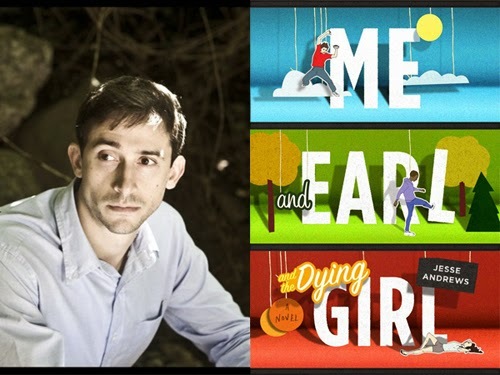 His debut novel, Me and Earl and the Dying Girl, is a World Book Night 2014 selection; a film adaptation is currently in development. 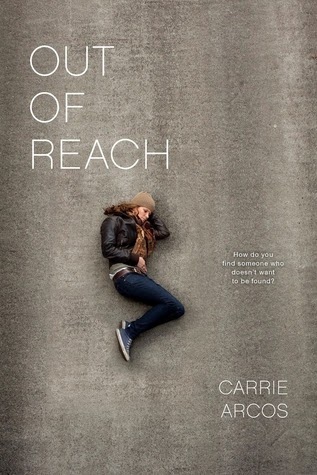 Carrie Arcos is a National Book Award Finalist for Young People's Literature for Out of Reach. She lives in Los Angeles with her family. How do you find someone who doesn't want to be found? A girl searches for her missing addict brother while confronting her own secrets in this darkly lyrical novel. Rachel has always idolized her older brother Micah. He struggles with addiction, but she tells herself that he's in control. And she almost believes it. Until the night that Micah doesn't come home. Rachel's terrified, and she can't help but feel responsible. She should have listened when Micah tried to confide in her. And she only feels more guilt when she receives an anonymous note telling her that Micah is nearby and in danger. With nothing more to go on than hope and a slim lead, Rachel and Micah's best friend, Tyler, begin the search. Along the way, Rachel will be forced to confront her own dark secrets, her growing attraction to Tyler, and the possibility that Micah may never come home. 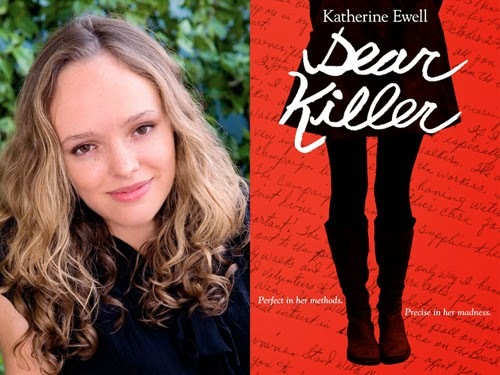 Katherine Ewell is the 18-year-old author of YA thriller Dear Killer. She is a Stanford student, horse lover, avid reader, science and sci-fi lover, girly-girl, and geek. Holly Goldberg Sloan is an American film director, producer, and screenwriter. 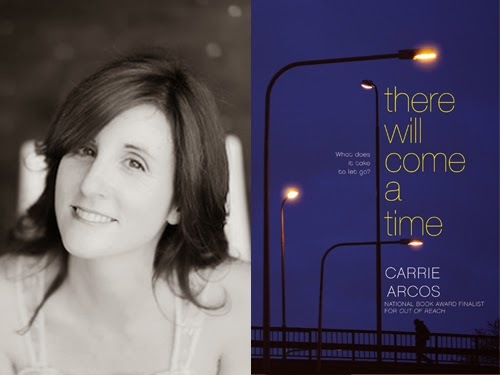 Her debut YA novel, I'll Be There, earned a starred review from School Library Journal. 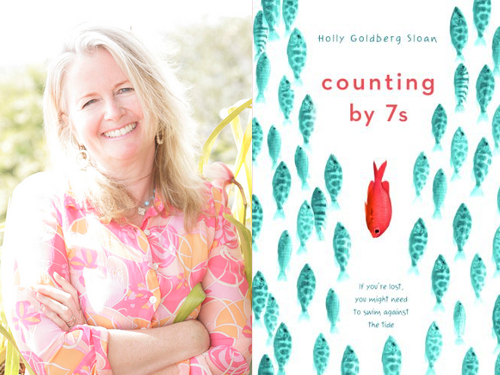 Her latest award-winning book, Counting by 7s, is also a New York Times Bestseller. Emily Bell believes in destiny. To her, being forced to sing a solo in the church choir--despite her average voice--is fate: because it's while she's singing that she first sees Sam. At first sight, they are connected. Sam Border wishes he could escape, but there's nowhere for him to run. He and his little brother, Riddle, have spent their entire lives constantly uprooted by their unstable father. That is, until Sam sees Emily. That's when everything changes. As Sam and Riddle are welcomed into the Bells' lives, they witness the warmth and protection of a family for the first time. But when tragedy strikes, they're left fighting for survival in the desolate wilderness, and wondering if they'll ever find a place where they can belong. 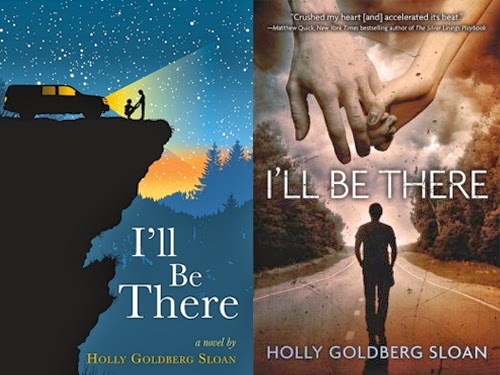 Beautifully written and emotionally profound, I'll Be There is a gripping story that explores the complexities of teenage passions, friendships, and loyalties. The sequel, Just Call My Name, will release in August 2014. Aaron Hartzler is a writer and actor whose autobiographical performances have been seen in Los Angeles, San Francisco, and New York--where he received a GLAAD Media Award nomination for Outstanding Off-Off Broadway Performance. His debut YA novel, What We Saw, will be published in 2015 by Harper Teen. What happens when the person you’re becoming isn’t the one your family wants you to be? When Aaron Hartzler was little, he couldn’t wait for the The Rapture: that moment when Jesus would come down from the clouds to whisk him and his family up to heaven. But as he turns sixteen, Aaron grows more curious about all the things his family forsakes for the Lord. He begins to realize he doesn’t want Jesus to come back just yet—not before he has his first kiss, sees his first movie, or stars in the school play. Whether he’s sneaking out, making out, or playing hymns with a hangover, Aaron learns a few lessons that can’t be found in the Bible. He discovers that the girl of your dreams can just as easily be the boy of your dreams, and the tricky part about believing is that no one can do it for you. 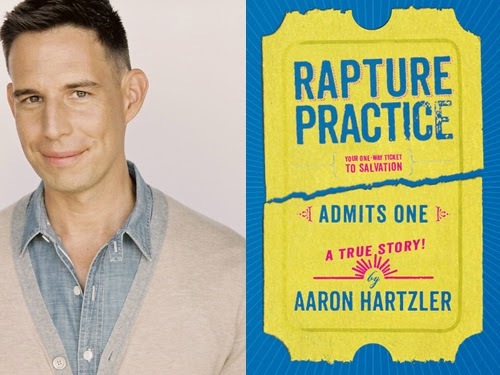 In this funny and heartfelt coming-of-age memoir, debut author Aaron Hartzler recalls his teenage journey from devoted to doubtful, and the search to find his own truth without losing the fundamentalist family who loves him. 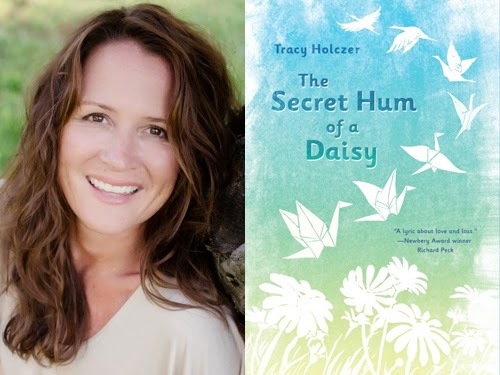 Tracy Holczer is a Middle Grade fiction writer who lives in Southern California. The Secret Hum of a Daisy is her first novel. 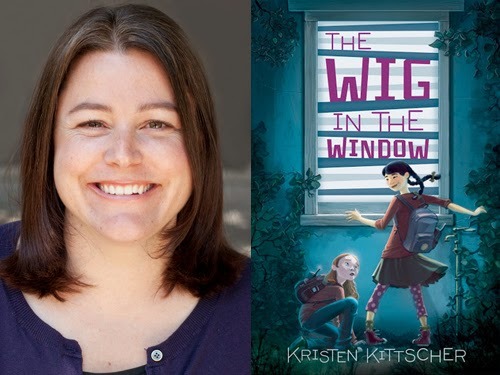 Kristen Kittscher grew up in over 13 cities, including San Francisco, Dallas, and London but she feels most at home in Southern California, where she lives with her husband, Kai. 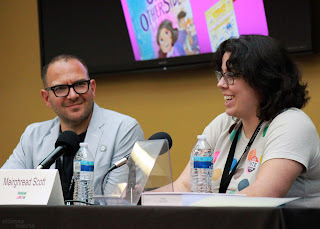 A graduate of Brown University and former English teacher, she now writes funny mysteries for the precocious middle-schoolers she once enjoyed teaching so much. 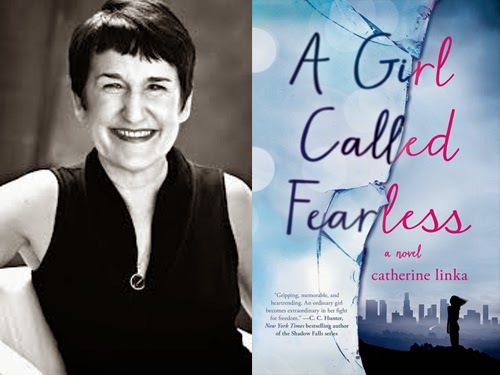 Catherine Linka has been immersed in books her whole life, most recently as a writer and a bookseller. Her debut novel is A Girl Called Fearless, a young adult romantic spec fiction/political thriller. She lives in Southern California. Avie Reveare has the normal life of a privileged teen growing up in L.A., at least as normal as any girl’s life is these days. After a synthetic hormone in beef killed fifty million American women ten years ago, only young girls, old women, men, and boys are left to pick up the pieces. The death threat is past, but fathers still fear for their daughters’ safety, and the Paternalist Movement, begun to "protect" young women, is taking over the choices they make. Like all her friends, Avie still mourns the loss of her mother, but she’s also dreaming about college and love and what she’ll make of her life. When her dad "contracts" her to marry a rich, older man to raise money to save his struggling company, her life suddenly narrows to two choices: Be trapped in a marriage with a controlling politician, or run. Her lifelong friend, student revolutionary Yates, urges her to run to freedom across the border to Canada. As their friendship turns to passion, the decision to leave becomes harder and harder. Running away is incredibly dangerous, and it’s possible Avie will never see Yates again. But staying could mean death. Romantic, thought-provoking, and frighteningly real, A Girl Called Fearless is a story about fighting for the most important things in life—freedom and love. 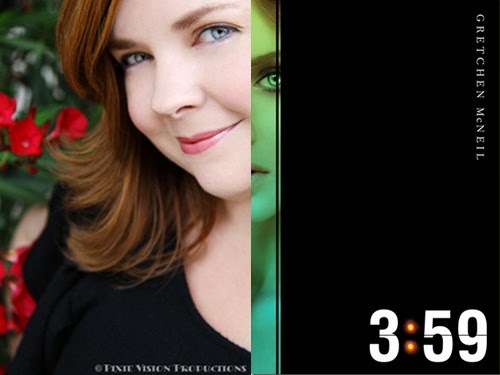 Gretchen McNeil is a former coloratura soprano and the voice of Mary on G4's Code Monkeys; she sings with the LA-based circus troupe Cirque Berzerk. 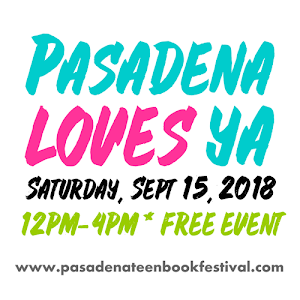 Her new YA contemporary series Don't Get Mad (Revenge meets The Breakfast Club), about four very different girls who form a secret society where they get revenge on bullies and mean girls, begins Fall 2014 with Get Even. Suddenly people are dying, and with a storm raging, the teens are cut off from the outside world. No electricity, no phones, no internet, and a ferry that isn’t scheduled to return for two days. 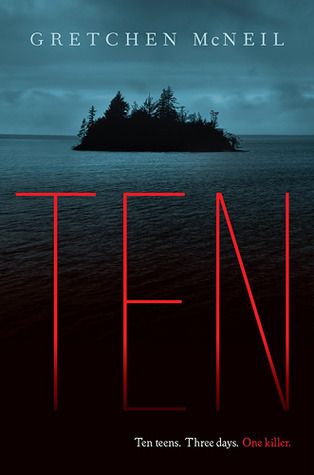 As the deaths become more violent and the teens turn on each other, can Meg find the killer before more people die? Or is the killer closer to her than she could ever imagine.